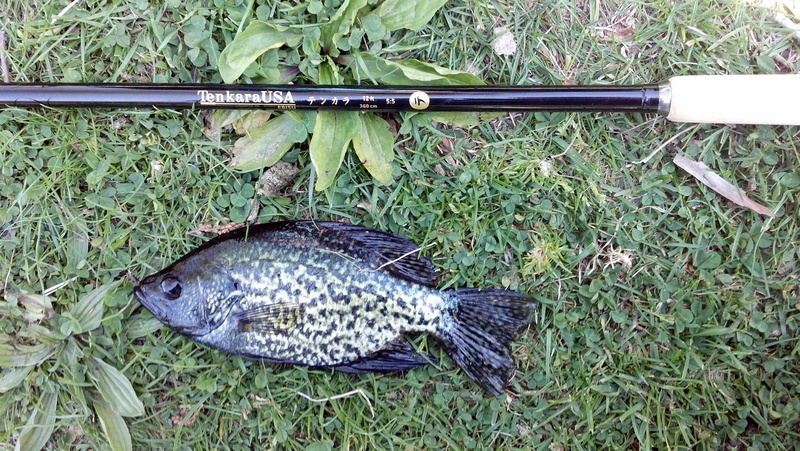 The Answer: TENKARA . . . Classical Japanese painting has depicted fishermen throughout its history. One of these works, “Catching a Catfish with a Gourd” – the illuminated poem rendered by the monk Taiko Josetsu in 1413 during the Muromachi period– is the most famous example His visual rendition of a koan, a Zen question designed to enlighten the student on new ways of seeing, was in itself a revolution in Japan. The painting, full of mist and sparse bankside vegetation, is credited with establishing suiboku, the monochromatic ink style, as well as a deeper sense of space in the pictorial plane. The latter achievement was not unlike the technical experiments early Renaissance masters were tackling at the same time in Europe. My first visit to Central Park’s ponds this season presented me with a similar question inspired by nature and the fishing situation. Harlem Meer, bordered by stands of willow and cattail just beginning to go green, appeared healthy and full of spring vigor on a crisp April morning. The pond also resembled a great soup bowl of salad greens. The plant responsible was curly-leaf pondweed, Potamogeton crispus, an aquarium plant that has escaped and thrived to the point where it now has a cosmopolitan (global) distribution. The wind was negligible, the pond calm, water clarity and visibility excellent. Several species of fish were cruising within the narrow water column between the top of the weed beds and the surface. Nymphs, legs kicking from curly leaf to curly leaf, were being hunted and surely consumed. I spotted several avoiding the strike zone by milling about the Meer’s edge. No fish were rising, but numerous swirls indicated active subsurface feeding. Casts would have to be more than delicate in this situation. A sinking fly of any type or size would surely foul in the plants after just a brief one or two count. 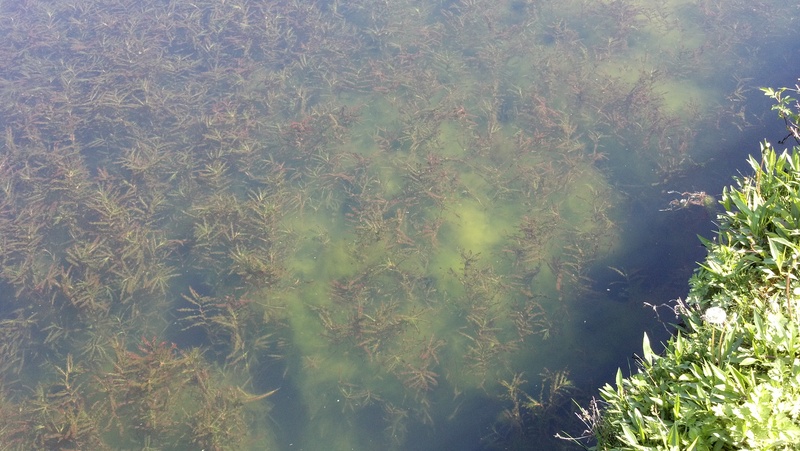 The Question: How to Catch a Fish in a Meer Full of Pondweed? 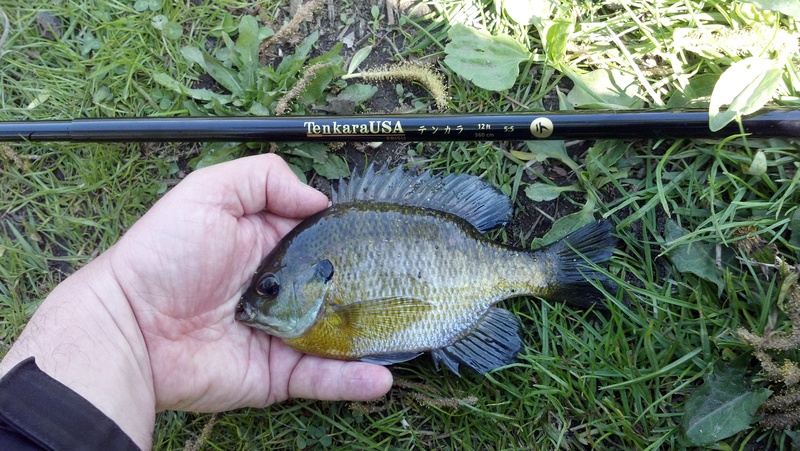 The physical characteristics of the tenkara level line turned out to be the solution to the fishing problem, that being: How to fish a sinking fly in a quick, delicate manner over the weeds? Had I brought my conventional 5-weight, I might have endured a headache rather than enjoyed a fishing trip. The floating fly line, as light as it is, would have been still too heavy for the calm conditions and narrow window of fishability. Even a delicate cast would have rippled the water enough to spook the fish hunting nymphs over the pondweed flats. My 5x tippet ended with one of the small family of nymph and wet fly patterns I can tie. The first is predominately brown, made simply from pheasant tail feathers and black thread. Another utilizes gray knitting wool matched with a natural deer hair wing. I also had several Pheasant and Orange soft hackles with me, although I wish I had brought some tied with olive floss as well. Many of the nymphs I saw were green in hue. One surprise catch eluded my camera; my first ever golden shiner, which inhaled a pheasant tail nymph. I knew this species resided in the Meer, but this was my first close encounter with one. 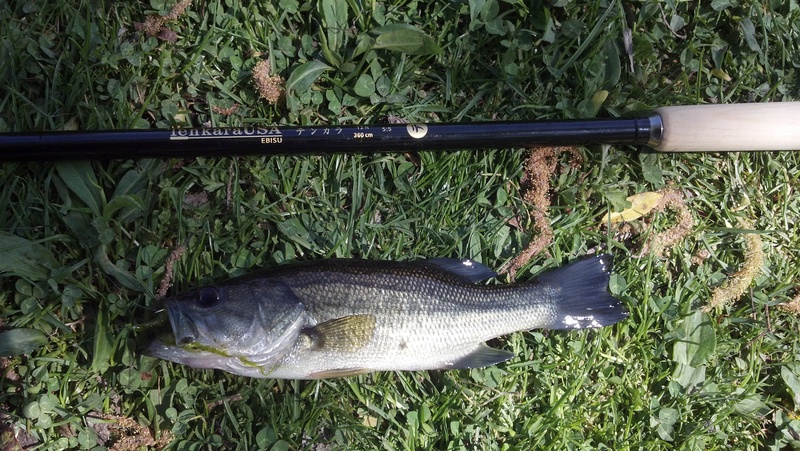 Pulling this foot-long fish from a springtime pond filled me with the same aesthetic I perceive when reading and viewing the exploits of British coarse fishing as documented by my friend, Dominic Garnett, author of Flyfishing for Coarse Fish. His blog “Crooked Lines” is full of waterscapes that look like Harlem Meer and fish species that resemble the golden shiner, which has the coloration of a tench and the profile of a rudd. I landed the fish, fair and fully, but it flopped away from the camera eye and rolled into the water with the dexterity of a martial artist. Is the golden shiner, perhaps, an Anglophile in style with the sporting acumen of a Japanophile? Maybe! Nice blog! How I wish I could hop down to Harlem Meer for a quick cast. A bit far at 2000 miles (and a bit!). But that’s the beauty of the net and blogs though I guess. For a few moments I was right there! ps. I think the “shiner” is similar to the fish we call roach. The word “roach” generally has folks checking their cupboards in NY however!